Its many years since Market Rasen’s hospital closed down and yet few people today realise that there ever was one. The Market Rasen Dispensary was formed in 1857 and the Cottage Hospital itself 11 years later in 1868. 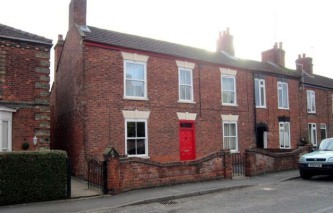 The two facilities were merged and a building in Dear Street converted to house the new Market Rasen Cottage Hospital and Dispensary in 1871. In 1891, the Matron is named as Miss Joan Coles and the Secretary as Mr H. Gadd. The hospital had four beds upstairs for maternity cases and four downstairs for general cases. It was financed by donations and subscriptions, which early in the last century amounted to about 60 a year. There were also dances, bridge drives, socials and church collections which helped towards the running of the hospital. Management of the hospital was quite exclusive, which led to criticisms that this caused donations not being forthcoming since ordinary people did not feel involved in the hospital. Patronesses were traditionally the Countess of Yarborough and, for many years, Mrs Tennyson d’Eyncourt of Bayons Manor. Medical care was provided by resident nurses, who lived at No 7 Dear Street, and the town’s doctors, who had to apply to be appointed to the medical staff – unpaid – in order to go and treat their own patients. There do seem to have been one or two occasions when doctors were not allowed onto the staff. All this, of course, was before the National Health Service came into being and all medical care was paid for. People usually belonged to clubs into which they paid money each week to pay for their medical care or hospital stay in the event of illness or injury. Apparently, the regular Market Rasen fair of Smith and Warren used to give one evening’s takings to the hospital. One night, one of their four sons was taken ill, but the hospital refused him admission. The fair never made a contribution again. The late Jack Cook, of Chapel Street, recalled that there was a bed there which, in the 1930’s, was notorious for seeming to finish off it’s occupant! First to go was a Mr Parker of Tealby who died there from pneumonia. Next in the bed was a motorcycle victim who died nearly straight away. Jack’s own father was then taken ill and taken to the hospital with a ‘demon’ arm! In 1940, it was decided that the Cottage Hospital was no longer suitable to be used for maternity cases and warnings were given that this would put the whole future of the hospital in jeopardy. Sure enough, the hospital was closed on May 17 1941. The two Nurses Langley and Wholey bought the building and continued to live and operate the district nursing facilities from there. After the district nursing ended they continued to live there as a private residence until 1961, when it was sold.